Victoria specialises in fine kinetic (moving) jewellery handmade using traditional techniques in silver, gold, and diamonds. 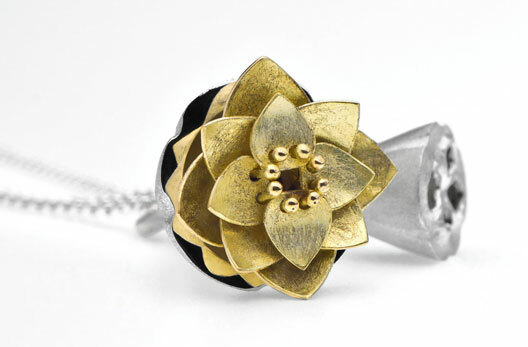 Inspired by the beauty of natural forms, her signature seed-pod lockets feature tiny articulated flowers that emerge and unfold from within. Each kinetic design is the centerpiece of its collection, where you will also find complimentary earrings, bracelets and engagement rings. 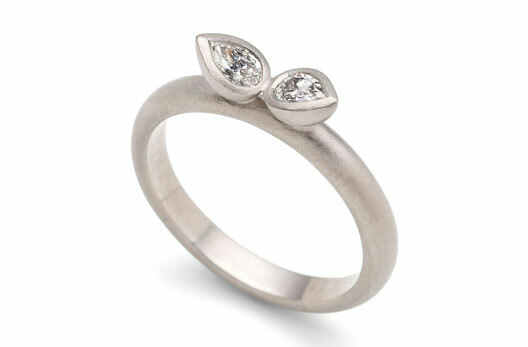 Intricate and timeless, Victoria’s work is often admired for its ‘heirloom’ qualities and makes the perfect gift to mark an anniversary or special date. 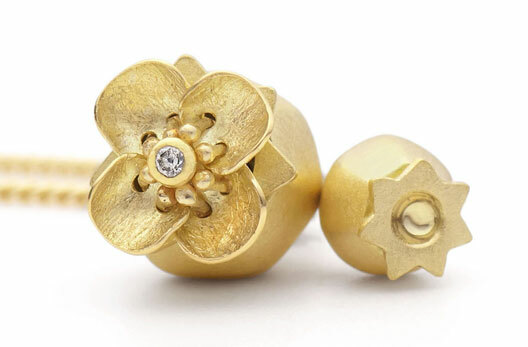 Since graduating with a first from Truro College in 2009, Victoria has showcased her unique jewellery at numerous high-end design shows around the country, including the prestigious Goldsmiths’ Fair in London. 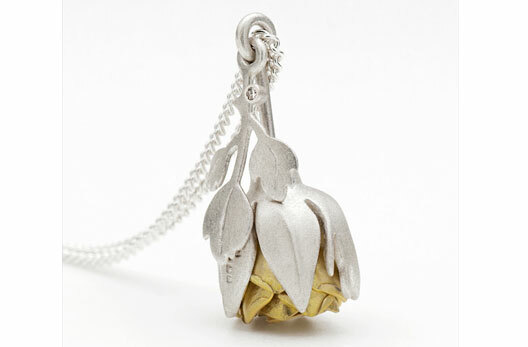 For a list of upcoming exhibitions, please visit the events page of the website www.vwjewellery.co.uk. Victoria’s work can also be seen at her studio in central Truro, within the beautiful Princes House building. The studio is open to the public throughout the year but appointments are recommended.